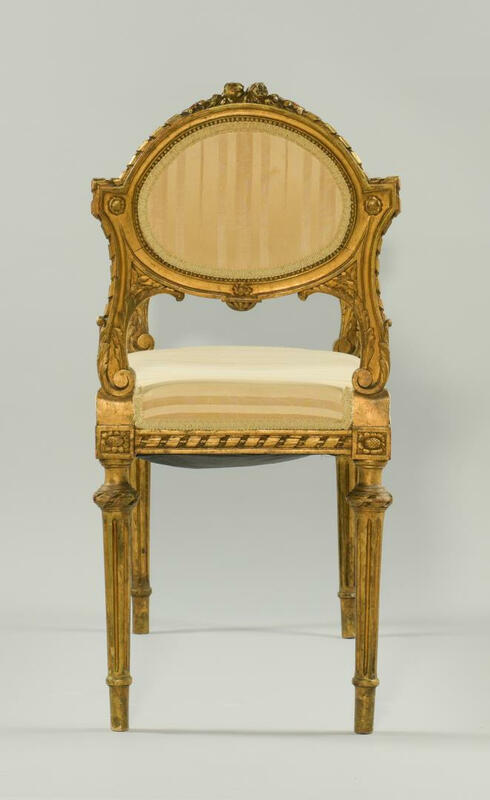 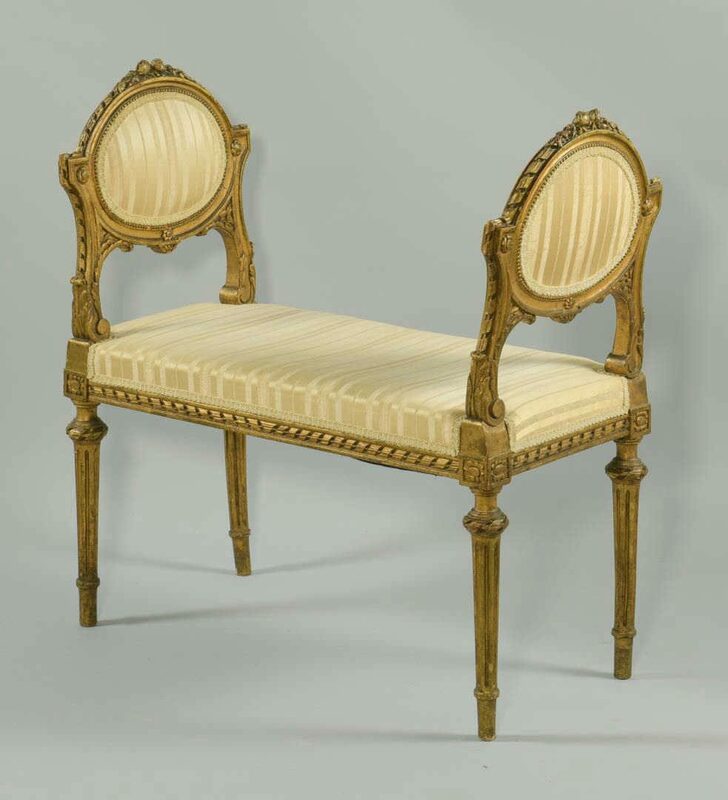 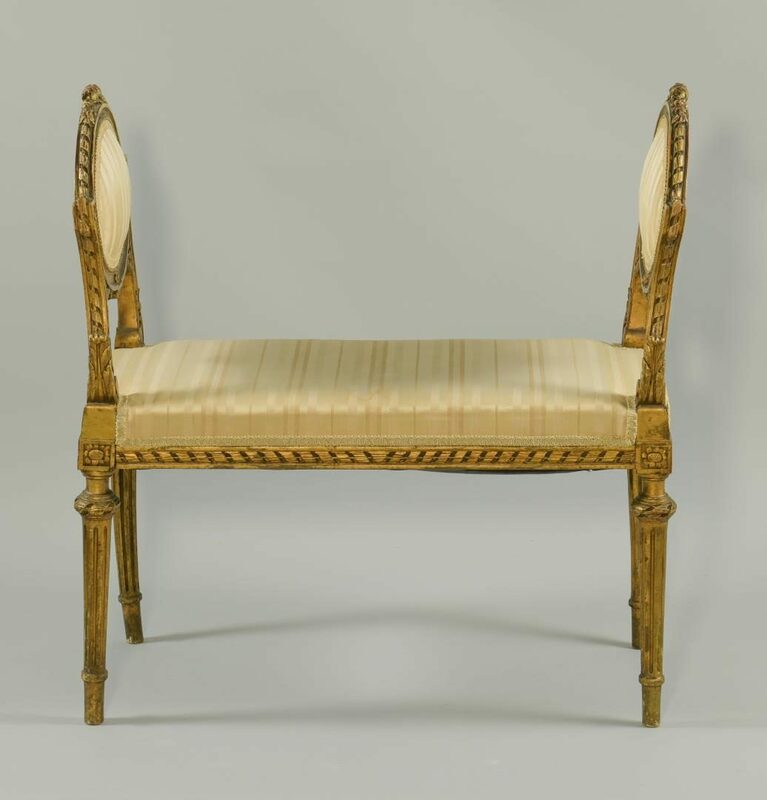 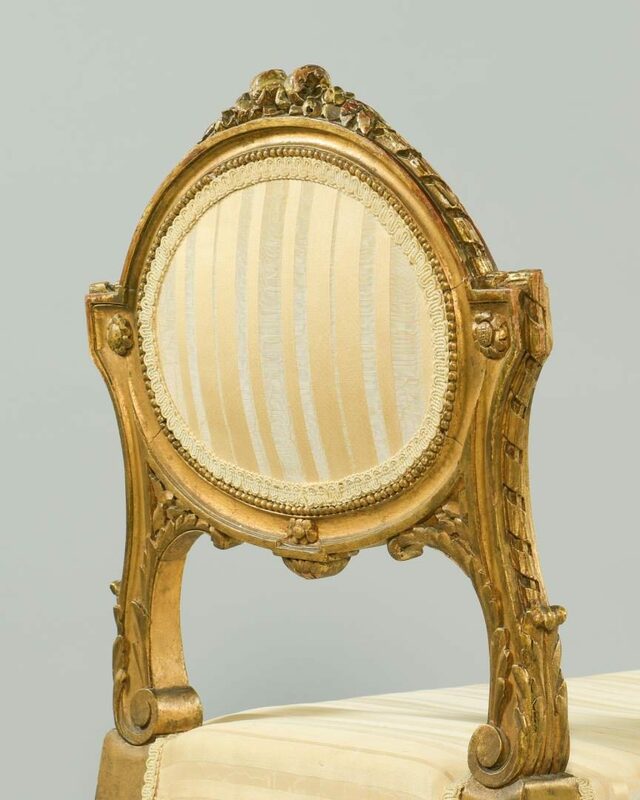 Louis XVI style gilded and handcarved high arm backless window seat, floral and ribbon decoration with fluted tapered legs, 33" H x 31" W x 15-1/2" D. Continental, early 20th century. 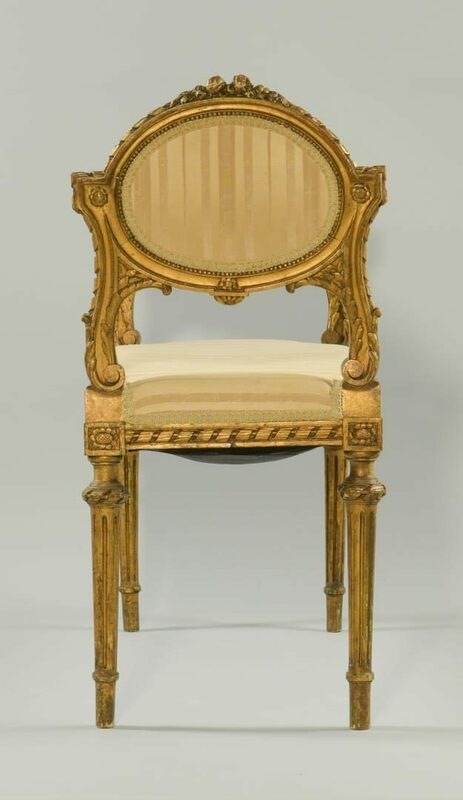 CONDITION: Overall good condition with minor losses to gilding, mostly near feet. 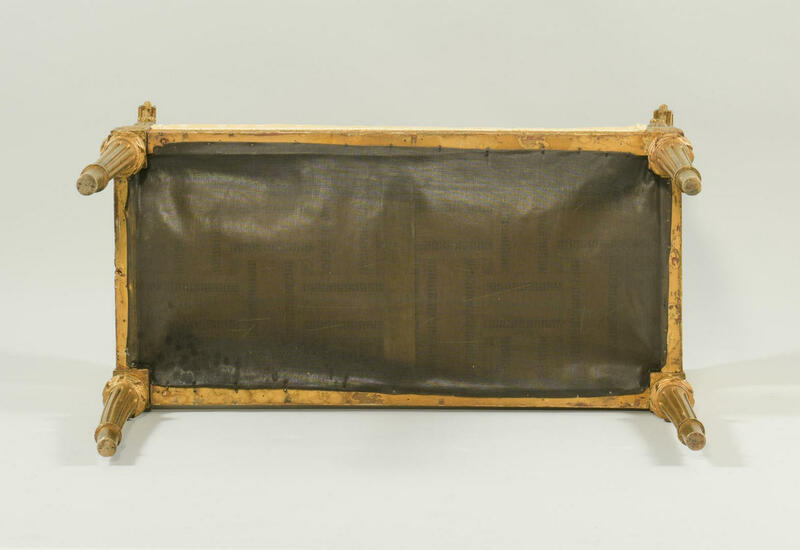 Stains on fabric.